It was a night of celebrities and sporting excellence as the guests arrived at Plaisterers’ Hall, London to raise funds to support Chemmy Alcott in her bid to compete at the Sochi Winter Olympics. Making this event happen was a great experience; from meeting with our client and helping to bring their vision to life. This project was tailored to their requirements through building a bespoke set which accommodated a “Question of Sport” theme panel and a rock band! 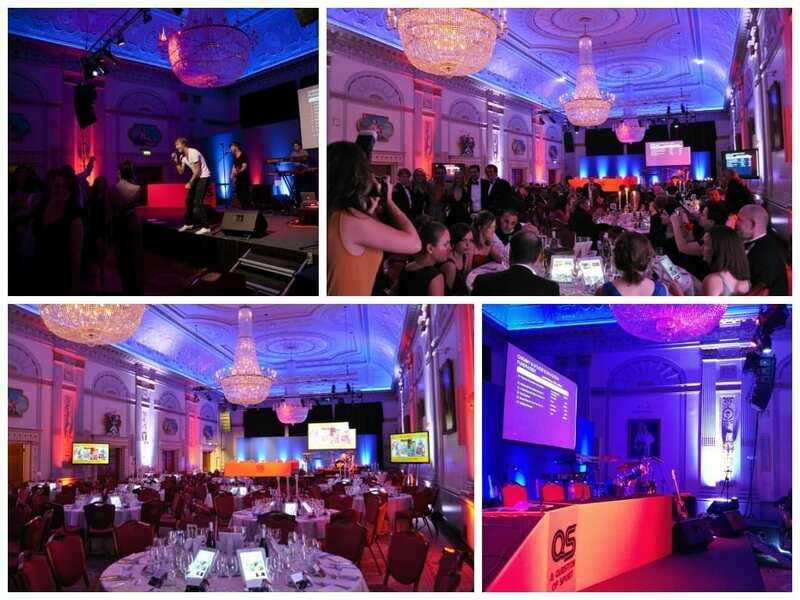 So we had free reign to create the ultimate Audio Visual Solution that included staging and lighting whilst our technical expertise ensured a smooth running event.